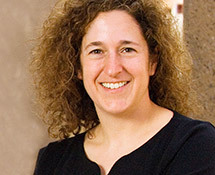 Susanna Loeb is the Barnett Family Professor of Education at Stanford University, faculty director of the Center for Education Policy Analysis, and a co-director of Policy Analysis for California Education. She is also a senior fellow at the Stanford Institute for Economic Policy Research and a faculty research fellow at the National Bureau of Economic Research. Dr. Loeb, who holds a PhD in economics from the University of Michigan, specializes in the economics of education and the relationship between schools and federal, state, and local policies. She participates in the for-profit component of CAPR’s descriptive study.